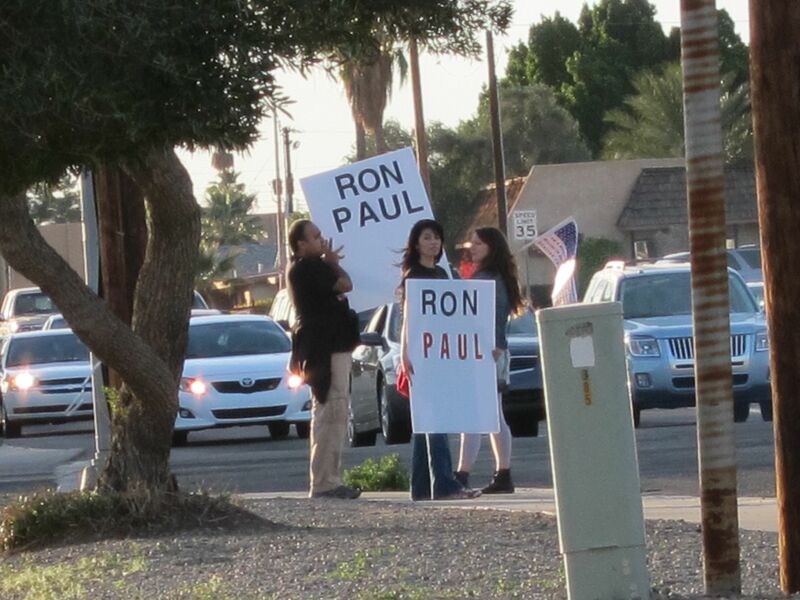 When we stopped in Yuma for gas and dinner we drove past two people on the side of the road waving homemade Ron Paul signs at the passing traffic. We parked and I went over and asked them to tell me what mattered to them about Ron Paul’s political stances. The man said that he had worked around the world, in Africa and in Asia, and that US foreign policy is oppressing brown people like him. He said Ron Paul is the only candidate, in either party, who would get all US troops out of foreign countries. 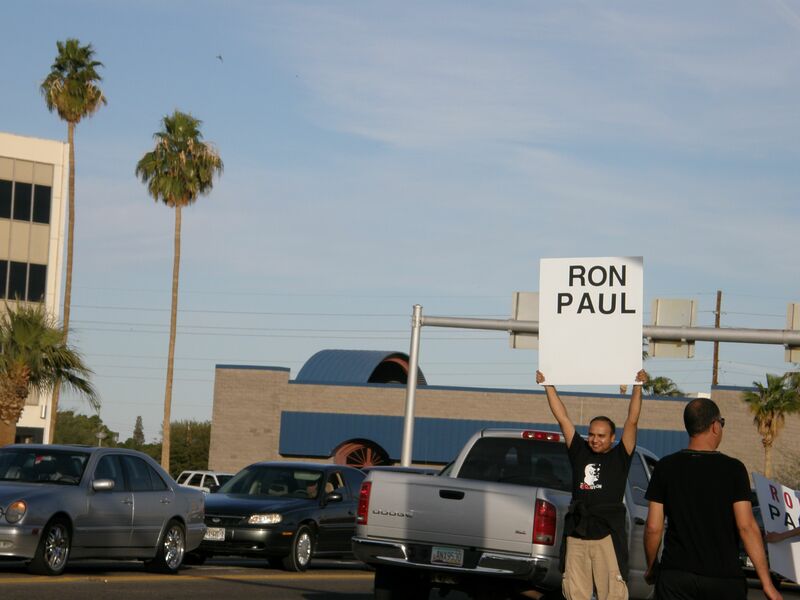 He has been a Ron Paul supporter for years, and has made signs like these for other election cycles. He said Paul he is the only person he could vote for in good conscience and that he agrees with 85% of his political platform. I asked him what he thought about Ron Paul wanting to defund public school altogether. He replied without hesitation that it was possibly a questionable social experiment, since it has been tried in some places already and seemed to result in only the wealthy getting good education. But he explained that it didn’t worry him too much because, even if it were possible for Ron Paul to win the nomination and become president it would not mean that all his policy ideas would be able to be implemented without modification. He also briefly talked about gold and government control over citizens’ money, but it seemed like it would take a long time to hash out that subject and we both had other things to do. I thanked him for his time and got back into our car.